A custom drink coaster promotes your brand whilst playing a practical role in protecting any surface from watermarks, rings, and condensation. This product is always in plain sight at bars, restaurants, and pubs, making it ideal for simple bar promotions! Improves Brand Awareness – As mentioned, brands could print the logo at the center of the custom coaster. The coaster is big enough for marketing advertisements. Furthermore, the longer a customer uses a coaster, the better for brand promotion. If you want to get creative and get maximum results, why not try these LED – powered coasters. These are great for bars and rave parties. Plus, it looks so attractive and worthy to post on social media. Cost-effective – These marketing gifts wouldn’t cost your brand a leg and arm. This won’t hurt your marketing budget since suppliers can give you a host of cheap yet durable options such as cork and silicone. Moreover, if you’re looking for something simple and minimalist, check out this great coaster design. In conclusion, we can safely say that this promotional merchandise is really effective since a lot of brands are using it for their marketing campaigns. It’s easy to execute; fast to produce. This could bring a positive impact to your brand. 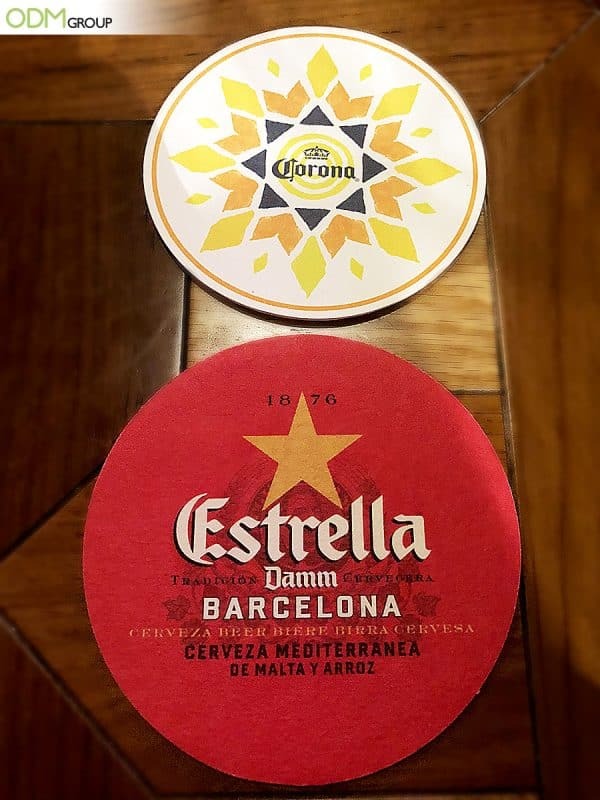 If you’re ready to create your custom drink coaster with logo, please don’t hesitate to contact our ODM team. We have a team of experts on marketing and manufacturing. They are always ready to take any of your marketing queries. One of the most interesting coasters that we have ever see. This is simply amazing! This proves that coasters are not limited to the alcohol and spirits industries.